Sightseeing Cruises on the luxury launch 'Solamaar' provide a comfort and hospitality that will impress you and your guests. Enjoy the scenery, the wilderness, the fresh air and clear waters. Enjoy the tranquility with views of waterfalls, snow capped mountains, volcanic rock and cliff formations, Maori Carvings and Native Bush and wildlife. Full commentaries are given by our well informed crew. Scholastic Groups may request our Specialist Guides. 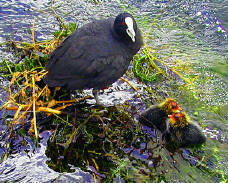 Lake Taupo - A Wildlife haven. Mount Ruapehu demonstrates her volcanic fury. The last eruption on the 26th September 2007 caused a lahar to flow down the mountain. 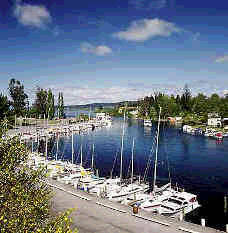 Taupo Boat Harbour - Situated at the Northern end of Lake Taupo is the only outlet of the lake. This is the beginning of the Waikato River which meanders through the central North Island to the Tasman Sea at Port Waikato in South Auckalnd. 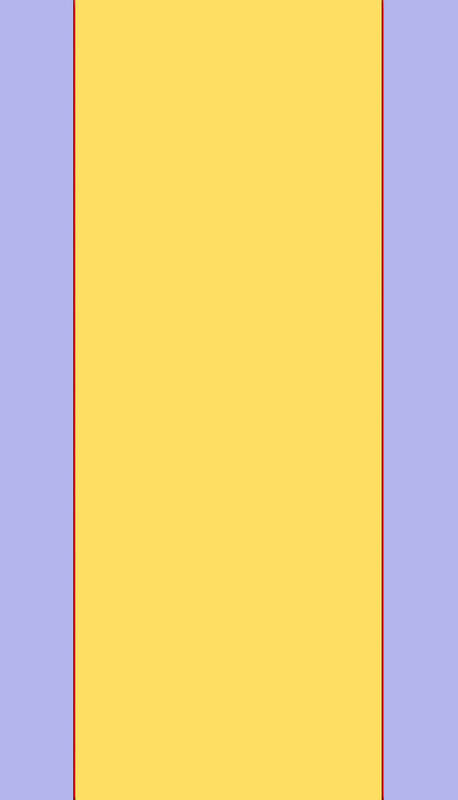 M.V. Solamaar at anchor in Boat Harbour, Kawakawa Bay in the Western Bays of the 'Great Lake'. This is an idyllic and tranquil spot for overnight anchorage. on the fore-deck of 'Solamaar'. 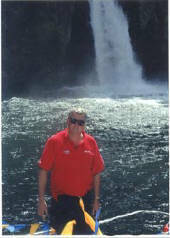 The Otupoto Waterfall cascades from the cliff face in Waihora Bay. Activities on the 'Great' Lake Taupo are numerous, from Lake Cruises to see the sights, Trout Fishing, Swimming, Kayaking, Parasailing, or just lazing about on the decks of 'Solamaar' while enjoying the fresh clean air. The Taupo region is natures playground and one of the worlds most desirable places where you will find every outdoor activity from Water Sports, Mountain Skiing, Bush Walks, Bungy Jumps, Sky Diving, Ballooning, Rafting and many more. This Eastern beach is typical of the hundreds of beaches located on the shores of Lake Taupo. Most of which are uninhabited and only accessable by boat. 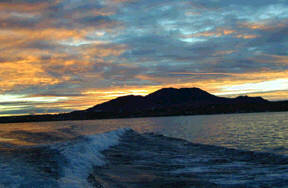 The stern wave from 'Solamaar' disturbs the still waters that reflects one of Taupo's spectacular sunrises. From the fury of this natural phenomenon has been born this most beautiful and picturesque region which encapsulates all the wonderments of nature and presents a paradise on earth. 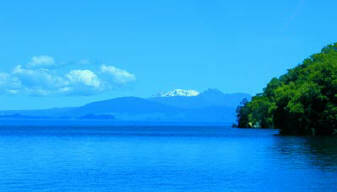 Snow capped mountains, crystal clear Rivers and Streams which cascade into the 'Great' Lake Taupo. The most recent eruption of the Taupo Volcano was in the mid afternoon of March or April 182 AD. This eruption was particularly violent and destructive compared to the other 28 eruptions that occurred during the last 26,000 years and separated in time by between 50 and 5000 years. About 20,000 square kilometres of the central North Island were affected by ash and pumice. The lakes water catchment is primarily from the Volcanic Plateau and the surrounding country side where the active volcano's, Mount Ruapehu and Mount Ngauruhoe periodically remind us of their presence with smaller eruptions. Mount Ruapehu last erupted on the 26th of September 2007. A lake was formed between 65,000 and 27,000 years ago from a series of at least five eruptions. The older four eruptions produced layers of coarse pumice. The youngest produced fine grey ash suggesting the mixing of lake water with magma. The Oruanui eruption is thought to have caused the Caldera (a collapsed volcano) now filled by Lake Taupo. The eruption was so large that ash clouds affected world temperatures and deposited ash as far away as China, Europe and Greenland. Lake Taupo is one of the largest fresh water lakes in the Southern Hemisphere. The 650 square kilometres of crystal clear water is 355.85 (chart datum) metres above mean sea level, and located in the central North Island of New Zealand. 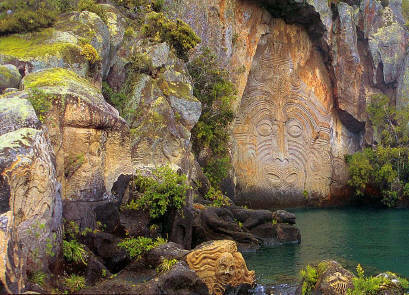 Taupo has been an active volcanic region for thousands of years and is part of the volcanic Pacific Rim. There have been no eruptions of Taupo Volcano in historic times. The largest Taupo eruption, known as the Oruanui eruption, occurred 26,500 years ago. As much as 800 cubic kilometres of volcanic material was spewed out. The Taupo eruptions did not result in the creation of mountains because their extreme and explosive nature caused material to be deposited far from the vent.